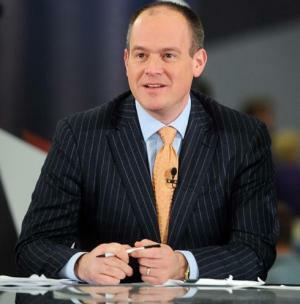 Rich Eisen was born on the 24th June 1969, in Brooklyn, New York City USA, and is a broadcast journalist, best known for his work on the CBS Sports and NFL Networks, and as a TV/Radio host for FOX Sports Radio and Direc TV. Eisen is one of the most successful sports journalists in America, and his yearly salary of $1 million continues to significantly increase his net worth. His career has been active since 1990. Have you ever wondered how rich Rich Eisen is as of mid-2016? According to authoritative sources, it has been estimated that Rich Eisen’s net worth is as high as $10 million, with the main source of this amount of his money being his journalistic skills, both on TV and radio. Rich Eisen was raised on Staten Island, then went to the University of Michigan where served as co-editor of the sports section of the school’s Michigan Daily newspaper. Rich graduated with a Bachelor of Arts degree in 1990, and then with a Master of Science degree in journalism from the Medill School of Journalism at Northwestern University in 1994. Eisen launched his career in 1990, his first job being as a staff writer for the Staten Island Advance from 1990 to 1993. After that, he worked for the Chicago Tribune from 1993 to 1994 before moving to California to be a reporter and a sports anchor at KRCR-TV in Redding, from 1994 to 1996. Eisen’s first major job came in 1996, when he signed a contract with ESPN, working with Stuart Scott. Rich also hosted the ESPN reality series “Beg, Borrow & Deal”, hosted the Major League Baseball on ESPN Radio, and was a guest host on “The Dan Patrick Show” and “The Tony Kornheiser Show”. Besides his work as a sports journalist, Eisen hosted the ABC show “Domino Day”, a world record attempt at toppling highest number domino stones. However, Eisen’s biggest professional achievement came in 2003 when the NFL Network was started, the first 24-hour, seven-days-a-week channel dedicated to football. Eisen was selected to be a host of “NFL Total Access”, a position which he held until 2011. In 2010, Rich signed a new contract with NFL Network and also became a host of the pre-game show “NFL GameDay Morning”, as well as covering “Thursday Night Football” pre-game, “NFL GameDay Highlights”, NFL Draft and the Super Bowl. He has had his podcast “The Rich Eisen Podcast” since 2010 , and hosted the “Thanksgiving Special” in 2012. Along with work at ESPN, Eisen has collaborated with other networks such as CBS Sports, on which he served as a play-by-play announcer during the US Open Tennis Championships. In 2014, Eisen started ‘The Rich Eisen Show”, a sports talk TV/Radio show which was picked up by FOX Sports Radio and aired daily at noon. Most recently, Eisen was a sideline reporter for NCAA March Madness in 2016. Regarding his personal life, Rich Eisen married colleague Suzy Shuster in 2003, a college football sideline reporter for ESPN on ABC, and has two sons and a daughter with her. 2 Graduated from Northwestern University's Medill School of Journalism in 1994 with a master of science degree in broascast journalism. 3 Graduated from the University of Michigan in 1990 with a bachelor of arts degree in communications.